SAP BO is an enterprise which provides Business Intelligence for the companies. There are several institutes providing SAP BO training. In BigClasses you will find outstanding SAP BO online training by industry experienced trainers. Before opting any SAP BO online training, you need to acquire some basic knowledge on it, that you can understand the importance and future opportunities of SAP Business Objects. 1. 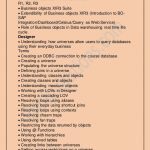 What do you mean by ‘Business Objects? It is a Dynamic BI (Business intelligence) reporting solution from Business Objects. Business Object is an integrated reporting, query, and analysis solution for the business professionals which allow them to access the data in their enterprise databases directly from their machine and then present and analyze this information in a Business Objects document. 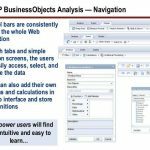 Business Objects (BO) is an OLAP tool. It can be used by high-level management as a part of DSS (Decision Support System). It makes data easily accessible. 2. What do you mean by Business intelligence? BI is a technology which is used for preparing reports for multidimensional analyses. 3. What is the concept of 80 / 20 in Business Intelligence? In a BI environment, 80% of development time is allocated to the OLAP interface designing and 20% of time allocated for Report development. 4. What are the various BO products? These are – Designer, Supervisor, User Module, Auditor, Set Analyzer, Info View, BO Software Development Kit, Broadcast Agent etc. 5. What are the roles of Business Object Administrator? Configurations and Installations in a distributed environment. 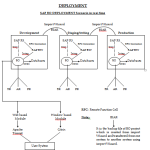 Creation of the Business Object(BO) Enterprise Repository. Performing backup and recovery of the Metadata. 6. 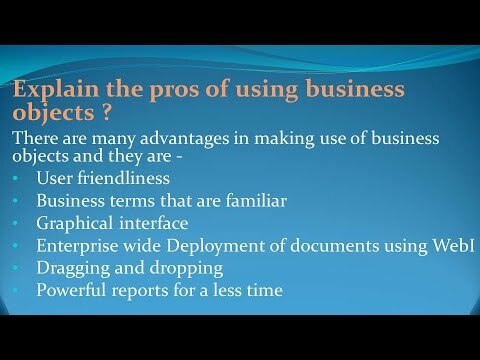 What are the roles of Business Objects Architect (Designer)? A designer is responsible for designing the OLAP interface by satisfying all the requirements. After the Interface has designed it should be regularly tested before giving to the end user population. 7. What do you mean by OLAP interface? A good OLAP interface can write an efficient SQL and can read an aqua rate data from the database. To design the interface the designer should have good knowledge on database understanding the report requirements. 8. What is an Application Developer? Application developer designs the Reports according to the report requirement templates. He tests each report with these types of tests: Unit, System Testing, Performance and User Acceptance Testing.